Our product spanish fly is a powerful solution. 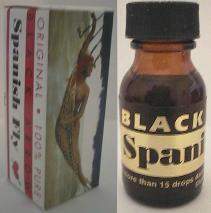 Spanish fly has been used as a powerful aphrodisiac for hundreds of years with great success. Use as many as FIFTEEN drops with complete safety. This product should only be used with consent from the user. Click the button below to add the SPANISH FLY ORIGINAL to your wish list.